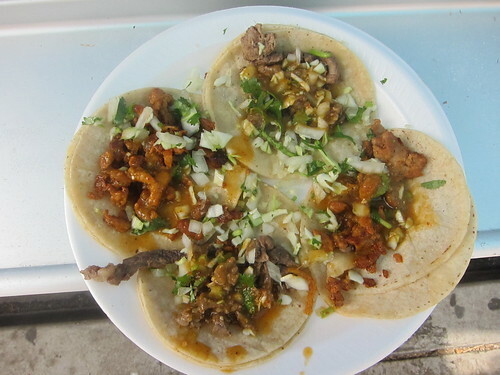 It’s hard to beat four tacos for two bucks. But sometimes you get what you pay for. And on this day, the tacos were of poor quality. 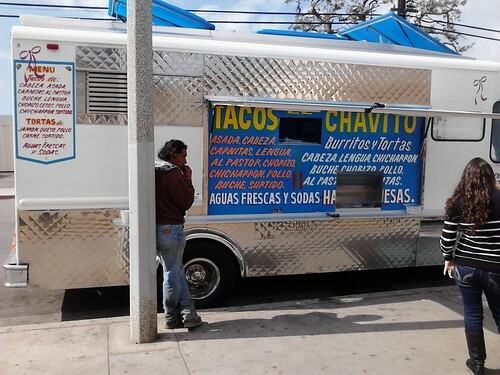 Tacos El Chavito has a certain kind of legendary stature in Huntington Beach. This is partly due to the fact you get two tacos for $1. But get this; they also give away free pineapple juice. 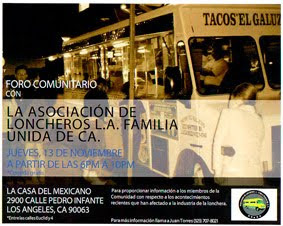 Two bucks gets you a plate of tacos and something to wash it down with. That’s pretty incredible. I feel kind of cheeky for complaining about my tacos. I ordered al pastor and carne asada. Both meats were fatty, the asada particularly so. The salsa was of medium heat with good flavor. The tortillas could have used a little more grill time. I washed the tacos down with a coke instead of pineapple juice. Sometimes I like a coke with my tacos. 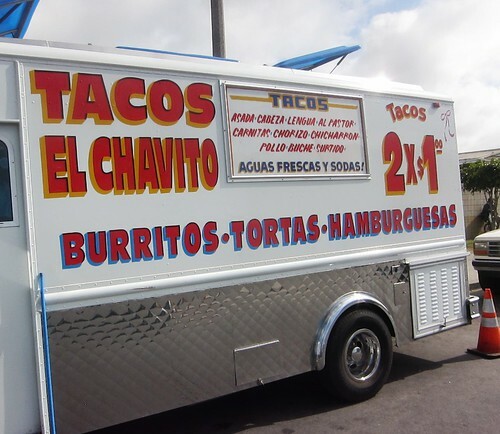 The guy in line before me ordered ten tacos “para aqui” and the woman inside the truck gave him a curious look and said “ para aqui or llevar?” He repeated “para aqui” and I thought – oh no, i’m never going to get my tacos now because of this gordo. But it turns out they weren’t all for him. His family was waiting for him, and one by one he brought over plates of tacos and cups of pineapple juice. Hmm tasty. I like cheap tacos very much. Sometimes you get what you pay for and enjoy yourself.